Sony Ericsson has posted its financials for its important year-end quarter, highlighting profits that failed to match expectations but also revealing the managed to ship 9 million Xperia handsets during that period. Whilst shipments do not necessarily equate to sales, 9 million units is a impressive amount of devices shipped, especially when the X10 family where beset by Android update woes and numerous delays. 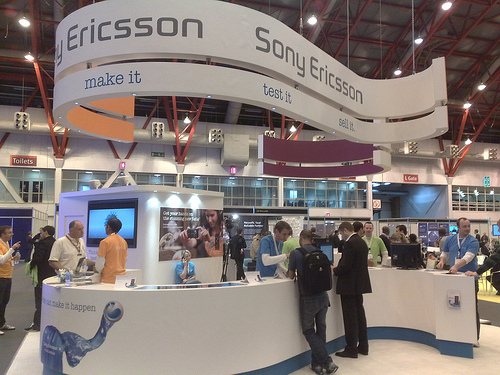 Sony Ericsson, a joint-venture between Swedish company Ericsson and Japanese electronics giant Sony, made pretax profit of 35 million euros, posting sales of 1.53 billion, falling short of forecasts that suggested the company would make pretax profits of 79.7 million euros and sales of 1.82 billion. The company forecasts only modest growth in the smartphone this year but still intends on bring a number of new Android devices to market including the Xperia Arc, the Xperia Play (the Playstation Phone) and the MT15i to name just three. The company recently dumped the Symbian mobile operating system, choosing to focus specifically on Google’s smartphone OS, although there have been reports that Sony Ericsson has intentions to manufacture smartphones running Microsoft’s new mobile OS, Windows Phone 7.